5 Things to Do with… Pegboard – Via Bobvila.com. 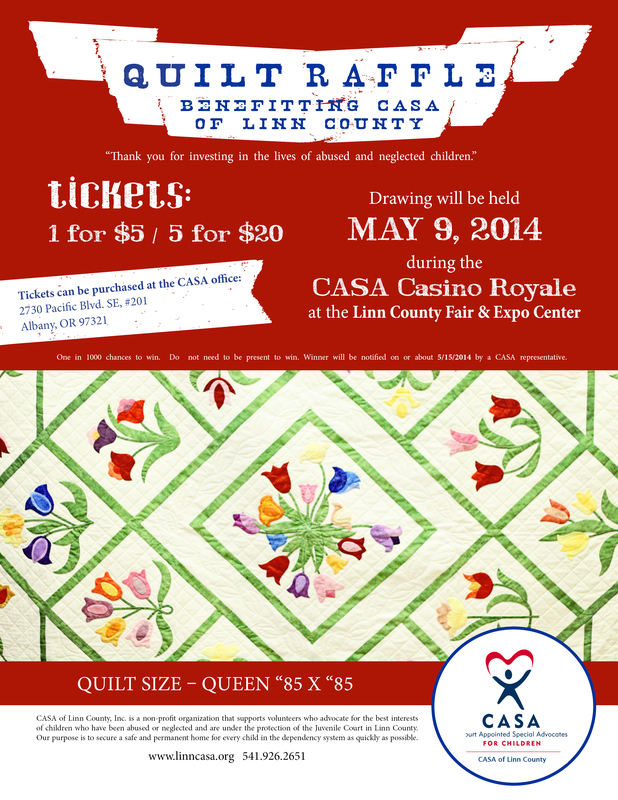 Quilt Raffle to Benefit CASA of Linn County, Oregon. Quilt Raffle to Benefit CASA of Linn County, Inc.
CASA of Linn County, Inc. is a non-profit organization that supports volunteers who advocate for the best interests of children who have been abused or neglected and are under the protection of the Juvenile Court in Linn County. Our purpose is to secure a safe and permanent home for every child in the dependency system as quickly as possible. 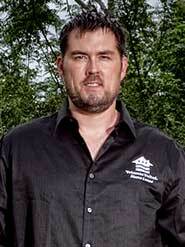 Veterans United Home Loans has partnered with Marcus Luttrell, the man who inspired the No. 1 movie in the country, “Lone Survivor,” to educate veterans and service members on the benefits of the VA Home Loan program. Marcus Luttrell is nothing if not completely dedicated to his fellow service members and veterans. That fact is evident through his retelling of the events surrounding Operation Red Wings, an epic fight between his Navy Seals team and the Taliban in Afghanistan in 2005. His commitment to those who served did not stop when he left the battlefield, however. Luttrell remains an advocate for veterans, especially those who have returned from the War on Terror. Working to ensure every veteran can take advantage of the benefits earned through service, Luttrell has partnered with Veterans United Home Loans. With the help of Veterans United, Luttrell is spreading the word about how a VA Loan can open the doors of homeownership to our nation’s heroes. Texas native Marcus Luttrell has been forging a unique path for most of his life. While most children are dreaming of baseball and long summers, at the young age of 14, Luttrell began an earnest path toward becoming a United States Navy SEAL. Along with his twin brother, Morgan, Marcus started his own training regimen that would go a long way in helping him reach his dream. In 1999, Luttrell first attempted Basic Underwater Demolition/SEAL (BUD/S) training in Coronado, Calif., but his graduation was delayed due to a fractured femur early on in training. Undeterred, Marcus would eventually graduate as an 18D, or team medic, in 2001. A mere four years later, Marcus and his team, SEAL Team 10, would be tasked with a mission to kill or capture Ahmad Shah (nom de guerre Mohammad Ismail), a high-ranking Taliban leader responsible for killings in eastern Afghanistan and the Hindu-Kush mountains. Marcus’s life and the lives of his fellow SEAL’s would change dramatically after Operation Red Wings. After being medically discharged, Luttrell would release his first book, The Lone Survivor, a few years later, which quickly rose to the top of the New York Times bestseller list in 2012. That same year, Marcus also launched the Lone Survivor Foundation, became a key spokesman for The Boot Campaign, and more importantly, started a family with his wife, Melanie. Merely the beginning for Marcus, he has since released a second book, Service, and simultaneously became a public speaker and figure for organizations such as Veterans United Home Loans. Marcus joined forces with Veterans United in an effort to raise awareness about the VA home loan benefit available to service members and veterans. A man of strong faith and values, Marcus found that Veterans United’s values were similarly dedicated to the betterment of military families; that of making the American dream of homeownership a reality for those who so bravely served. The best adventures are the ones that entice and intrigue you down the trail – the ones that promise yet unseen rewards, perhaps a treasure for your efforts. It’s a different sort of field hunting that relies on a keen canine sense of smell – come along as we join man’s best friend and go digging for valuable Oregon truffles. Kris Jacobsen is a professional dog trainer who operates a business called “Umami.” Her partner is a five-year-old Belgian Malinois breed of dog, Ilsa. We joined the team near Eugene in a Lane County forest. They prefer hunting together in dark stands of 30-year old Douglas fir and their hunting success depends on Ilsa’s famous nose. The prize they seek are gorgeous walnut-sized fungi that are more famous than you’d think – you see, Oregon truffles are blessed with aromatic, almost pungent scents that are culinary treasures. In fact, the truffle’s strong aroma makes the finding easy for a trained dog like Ilsa. Kris’ said that her job is keep watch and follow Ilsa’s signs. Ten years ago, Jacobsen knew virtually nothing about truffles – what she calls a “mushroom that grows underground.” That changed when she tasted her first wild Oregon white truffle. Between two and ten tons of Oregon truffles are harvested from Douglas fir forests each year. The harvest varies each year depending upon climate and weather patterns during a season that stretches between November and February. Back in the forest, Oregon truffle expert and mycologist Dr. Charles Lefevre said Oregon truffles are world-class delicacies, but not known widely. The so-called “underground mushroom” ranges in size from a pea to a grapefruit and it is unrivaled in the kitchen. They grow throughout western Oregon. You can learn more about truffles at the annual Oregon Truffle Festival and a visit to the Sunday Marketplace that is held on January 26. You can pick up tips, techniques and sample recipes at a fabulous affair that’s held in Eugene. If you want to learn more about Oregon truffles, visit natruffling.org, the North American Truffling Society based in Corvallis. •your financial planner – if you don’t have one, it might be worth engaging one to help you make a wise financial move as you carry out your next home move. A fee-based financial planner can help you get clarity around your current income and expenses, your debt, as well as your savings and investments – this insight allows you to wisely time your move vis-a-vis your other life and financial goals. 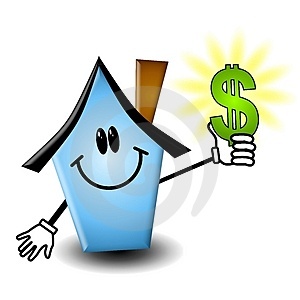 •When you bought your home, the seller paid both agents’ commissions. Now that you’re selling, it’s your turn – make sure you calculate the average 5-6% of the purchase price that you’ll need to cover your listing agent’s work, and the buyer’s agent’s, too. •Depending on the condition of your home, you may need to spend anywhere from a few hundred dollars to more than a few thousand getting it market-ready, whether you decide to do a DIY-fix-it sweep or to hire the best stager in town to showcase your showplace. •Depending on how much financial margin you have – or need – and on what your advance inspections revealed (if you did them – see #3, above), you might want to build in a line item for a repair credit to offset the cost of any repairs that come up during escrow. 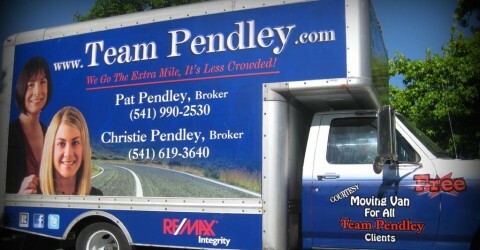 •Your agent can help you project other costs of selling your home, like property transfer taxes and paying for the buyer’s home warranty – costs customarily covered by the seller vary widely state-by-state, and even across counties within the same state. Your escrow holder and agent can also get you up-to-speed on precisely how much of your home’s sale price will go to pay off your mortgage(s), property taxes and any other liens. For at least 6,000 years Native Americans hunted for mussels, crabs, sea urchins, and clams along the coast near Cape Perpetua. Evidence of their lives can still be found in the huge piles of discarded mussel shells that lie along the shore near the Cape Perpetua Visitor Center. Several early explorers sailed past the cape. The first recorded passage was by Bartolomé Ferrelo in 1543; then came Sir Francis Drake in 1575 and Martin d’Aguilar in 1605. The cape was named by Captain James Cook on March 7, 1778 as he searched for the Pacific entrance to a Northwest Passage. Cook named the cape Perpetua because it was sighted on St. Perpetua’s Day. The area became part of the Siuslaw National Forest in 1908. In 1914, the United States Forest Service cut a narrow road into the cliff around Cape Perpetua and constructed a wooden bridge across the Yachats River, opening travel between the small community of Yachats and Florence, Oregon to the south. The wooden bridge was replaced in 1926 with a steel structure. The Cape Perpetua section of the Roosevelt Memorial Highway (now Highway 101) was built in the 1930s. In 1933, a Civilian Conservation Corps (CCC) camp was built at the foot of the cape just north of Cape Creek near where the Cape Perpetua Visitor Center is located today. The CCC constructed Cape Perpetua campground, a network of trails, and the West Shelter observation point near the top of the cape. During World War II, the West Shelter observation point was used as a coastal watch station and a large coastal defense gun was temporarily installed. An SCR-270B radar was installed at an undetermined location to take advantage of the height of the promontory. The Cape Perpetua Shelter and Parapet were listed on the National Register of Historic Places in 1989. Camping, picnicking, hiking, sightseeing, whale watching, and a visitor center with daily programs are all available within the Cape Perpetua Scenic Area. There are twenty-six miles of interconnected hiking trails in old growth forests which lead to Pacific Ocean tidal pools. One of the trails leads to a 600 year old Giant Sitka Spruce known as the Silent Sentinel of the Siuslaw. This tree stands more than 185 feet (56 m) high, and has a 40-foot (12 m) circumference at its base. On September 15, 2007, this ancient spruce was designated a “Heritage Tree” by the State of Oregon to recognize its exceptional age and size and ensure its protection. Along the Cape Perpetua coastline there are several unique features as well. The Devil’s Churn is a long crack in the coastal rock that fills with each ocean wave, occasionally exploding as incoming and outgoing waves collide. The Spouting Horn at Cook’s Chasm and Thor’s Well on the plateau nearby are both salt water fountains driven by the power of the ocean tide. Thor’s Well is at 44.278421°N 124.113499°W. Spouting Horn is at 44.277497°N 124.112994°W. Both Thor’s Well and Spouting Horn are best seen approximately an hour before high tide to an hour after high tide. How spectacular the sights are is a function of the height of the high tide and the direction and size of the swells. The wind can also be a factor. Devil’s Churn, Spouting Horn and Thor’s Well are popular with visitors; however, all three can be dangerous especially at high tide and during winter storms. The Cape Perpetua Visitor Center is located two miles (3 km) south of Yachats. The visitor center offers spectacular views of the ocean and coast from its deck. It is also a popular place to watch migrating gray whales. The visitor center has comprehensive natural history and cultural exhibits, an interactive children’s science area, a theater with nature films, and a bookstore. At the shelter there was never a gun installation. An SCR270B radar was installed on the site in 1943 in response to the bombing of Mt. Emily, Brookings, Oregon.